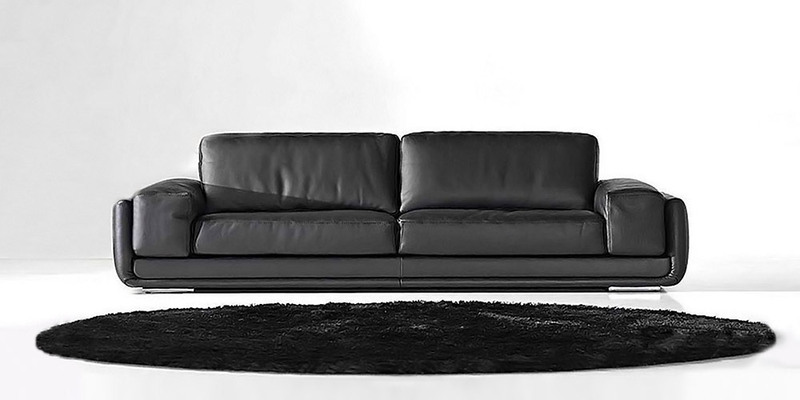 Large and imposing leather sofa designed in neo-classical lines. Two wide arms and a soft seat and back complement its gentle comfort. Recommended for large homes and offices. Available in different leather types and colours. Feet in stainless steel.